People ask me this a lot, and that’s understandable. It’s a tricky question with no right and wrong answer. 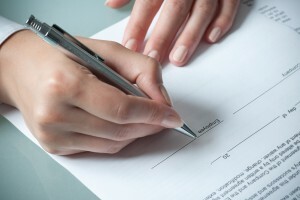 Since the 1970s, many employees have been required to sign a release agreement before they were provided outplacement services. Keep in mind, though, that this was a time when outplacement was generally reserved to senior executives and layoffs were rare. Outplacement programs, even back then, weren’t standard. The practice is now more common. The service has also been adapted to serve even non-management and entry level employees, mostly to avoid litigation and preserve the company’s image. Besides, now that company restructuring and mass layoffs are practically considered normal, it’s getting harder to establish what classifies as an unjust termination. All these economic changes pose new challenges to companies. On the one hand, they want to offer outplacement services to help displaced employees to move on. On the other hand, they also need assurance that the displaced employee won’t turn around and file a lawsuit. Which should they prioritize? From my observation of other companies, those that required signed release agreements created a bottleneck that hindered displaced employees from moving forward in the process. These companies focused only in protecting their interests leaving many employees confused, left out, and not knowing how to proceed. Yes, they offered outplacement services, but because it was conditional upon signing an agreement, there were a few days delay (sometimes weeks) between the agreement signing and the employee’s first consultation with a career specialist. This delay not only caused the employee precious time in restarting their job search, but also added stress to both parties. On the surface, it looks like there’s no downside to the company. But who knows how many people that displaced worker talked to? How many people have heard his story? What will other people–potential clients, vendors, consumers, or the general public–think of your company as a result? Worst case scenario, that displaced employee could have talked to an employee-rights lawyer, and is now convinced he has a valid claim against your organization. Instead of delaying the whole outplacement program on condition of getting a release agreement, allow displaced workers to get an initial or no strings attached outplacement introduction. It doesn’t need to be an expensive or time consuming part of the program. For starters, you can just give group career counseling or coaching to help them deal with the sudden job loss. Minimize backlash and bad press from displaced employees. Creates an environment of genuine care for the people impacted. Creates loyalty and trust among remaining employees. Helps displaced employees refocus their negative feelings to more constructive uses of their time and energy. Tenured employees who have lost their confidence in interviewing will get the support and training they need to get back on their feet. Have you ever gone through an outplacement program? Were you required to sign a release agreement before claiming your severance and outplacement benefits? Please feel free to share your thoughts with me at michelle@riklanresources.com. I read every email.